It’s already time for another book and movie of the year post! I had so much fun doing this last year and so I’m excited to do it again. The choice, especially for books, was slightly agonizing, but I’m happy with the titles I’ve picked. In the end I just had to go with a gut feeling about which books most deserved this title. Disclaimer: I am not getting paid to promote C.S. Lewis. Futhermore, this blog is not sponsored by C.S. Lewis, who happens to be no longer living anyway so how he would sponsor my blog, I don’t know. All jokes aside, I was a little concerned about choosing another C.S. Lewis book for my Book of the Year (last year’s was That Hideous Strength), but what can I say? C.S. Lewis is truly one of the greatest authors ever, and out of all the books I read this year, this one was the best. I do not take this choice lightly, and I didn’t want to choose a lesser book simply so that I wouldn’t have the same author two years in a row. So with that out of the way, I present to you…the 2016 Book and Movie of the Year! The Last Battle is the final book of the Narnia series, the culmination of every plot in the other books. 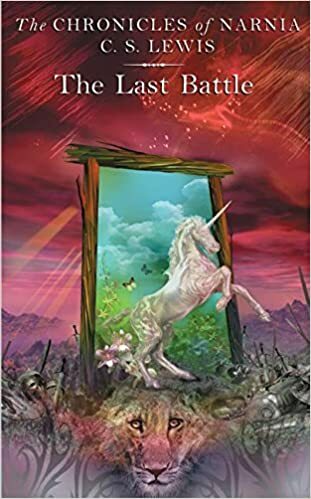 I had definitely read it before, but I was so young I didn’t remember, and this year was the first time that I sat down and read the whole Narnia series, from start to finish within a few weeks, on my own. The Last Battle blew me away. The endings of the other books are all so bittersweet, with the children returning to the real world, unsure if they will return. But not this one. This one displayed the great climax of human history and the great resolution of final peace and joy. The ending is made even sweeter because of the previous books, all of the characters reunited in eternal happiness. This book somehow captures what the feeling may be like when Christ returns, and it is a picture of heaven that I will never forget. The runner-up is a whole series, because taking one book out of the series robs it of its magic. The four books together make The Mysterious Benedict Society series what it is: a wonderful story of friendship and good defeating evil. While a children’s book, it has such important messages for all ages, and is a story that everyone can enjoy. It is a happy story that is deep and meaningful at the same time, a rare find in this age of dark and depressing or light and fluffy books. 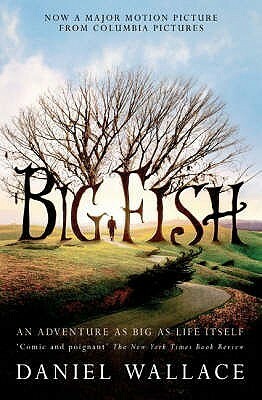 I don’t think Big Fish is a movie that can really be explained. I can’t explain what it’s about, or why it had such a huge emotional effect on me, but I’ll try anyway. The movie is the story of a father and son, shown in the present and in flashbacks through the father’s life. All during the son’s childhood, the father told wild stories about his own life, passing them off as truth. As an adult, the son greatly distrusts his father and resents those stories. The movie explores their relationship, especially when the father becomes very sick. It explores the power of stories and the lasting effect they have on our lives. The ending had me crying my eyes out, and the whole movie is fun, humorous, entertaining, deep, beautiful, and sad all at the same time. And yes, more Narnia as the runner-up. This year I watched a Narnia movie for the first time, and was really pleased with how well it was adapted! The Lion, the Witch, and the Wardrobe is visually gorgeous, well-cast, and stays very true to the book. I’m hesitant to watch the rest of the movies from things I’ve heard, but this one at least did a very good job and left me happy and satisfied. What do you think? Do you like my choices? What are some of the best things you read and watched in 2016? Tell me in the comments! Yes! The way he wrote Narnia it could have had a very bittersweet ending, but instead he wrote The Last Battle and it just was so perfect. The Mysterious Benedict Society is so well-done, universally appealing, and just made me so happy to read, which as I’ve talked about before on here, isn’t common in books these days! Yes! I wasn’t sure if my trouble explaining it was just me or if that was the kind of movie it was. I’m glad I’m not the only one. It’s an unexplainable, beautiful film! Really? I’ll have to give them a try then. I’ve heard mixed things, but I guess it might be a situation where if I can separate the book and the movie, I can enjoy each independently from the other.